Bali River Rafting Combination 3 Package is the combination of white river rafting with visiting Ubud Monkey Forest and Kemenuh Butterfly Park around Ubud area. Bali River Rafting At Ayung is taking place around Ubud area with professional instructor and equipment to explore the water stream. 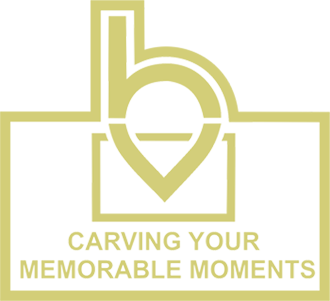 The intention of the activity is to enjoy the natural environment and fill up your holiday with adventurous activity. Fresh river water is flowing hard and it will make the day fun. The location of Ayung River is only 10 minutes from Ubud area and you also visit Ubud Monkey Forest and Kemenuh Butterfly Park after the activity is finished. Bali river rafting combination 3 package itinerary will be started with pick up from your hotel by our Bali tour driver and you will NOT be shared with other guest in the vehicle. It will take around 1.5 – 2 hours driving from Kuta, Seminyak, or Nusa Dua area based on the traffic of the day. When we reached the rafting company office, we need to do some registration for the insurance covered by the company. After that we have to wear a proper equipment such as life jacket, helmet, and paddle provided by rafting company to make sure your safety during the activity. 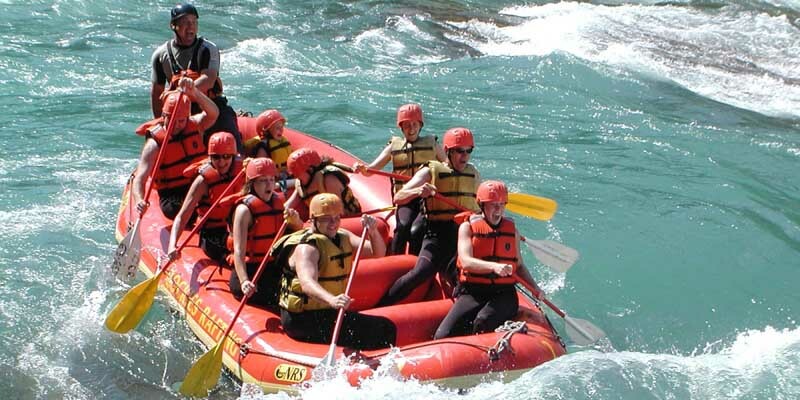 When you are ready, you will be depart with the group of rafting to the start point. Before start to do the rafting, the instructor will give a short technical instruction for the activity. Now it is time for the river exploration! After finished the activity we will heading back to the company office and changing your wet clothes. Buffet lunch was ready waiting for you after finished the activity and it is time for lunch time. Having coffee break will be the next itinerary to do. 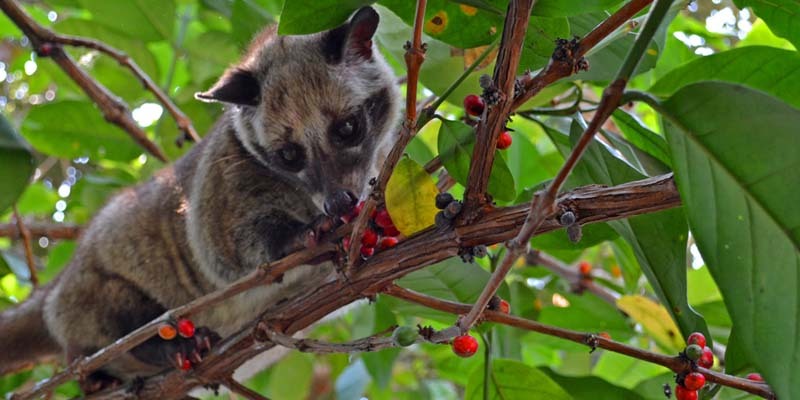 Tasting local Balinese spices especially the famous Luwak Coffee will refresh us before continue to explore other interesting sites nearby. We also will have some explanation and introduction of the local plantation at the farm. 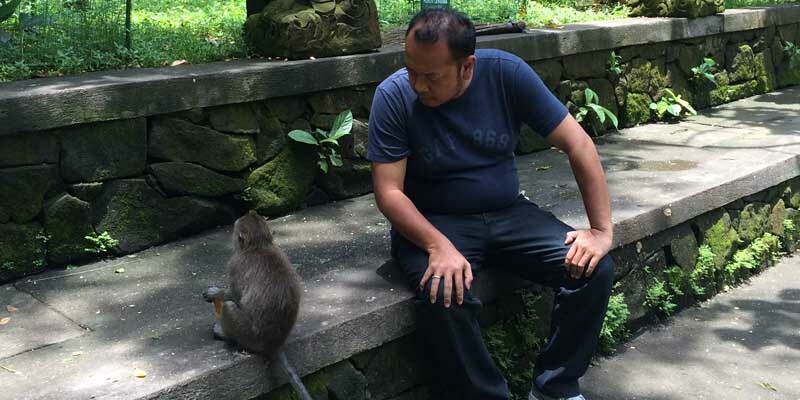 After that we are going to visit Ubud Monkey Forest to have some interaction with the monkeys. Afterwards, we are going to visit Kemenuh Butterfly Park with numerous beautiful Butterflies flying around us. After all finished we are going back to your Hotel. Kemenuh Butterfly Park is located at Kemenuh Village, Ubud. 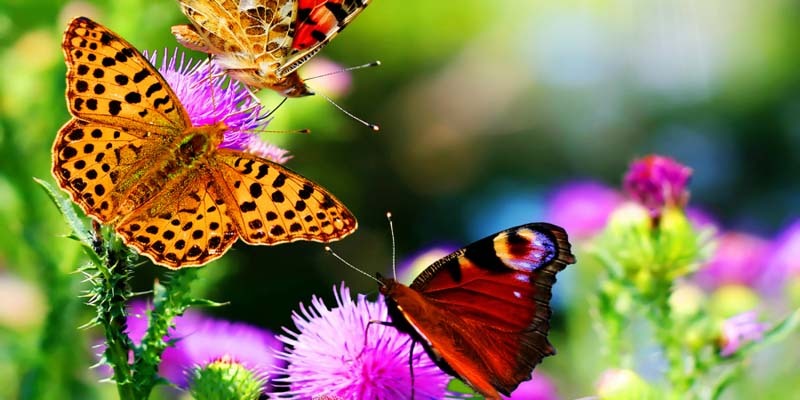 The park is one kind of zoo which focused in Butterfly conservation. Varieties of that animal you may find inside. And you might also see the process of its transformation from the first shape of worm. Then it become a cocoon and finally made up into a beautiful Butterfly.